Our regular Wednesday workshop is always a popular place to get together, learn new skills and have fun. 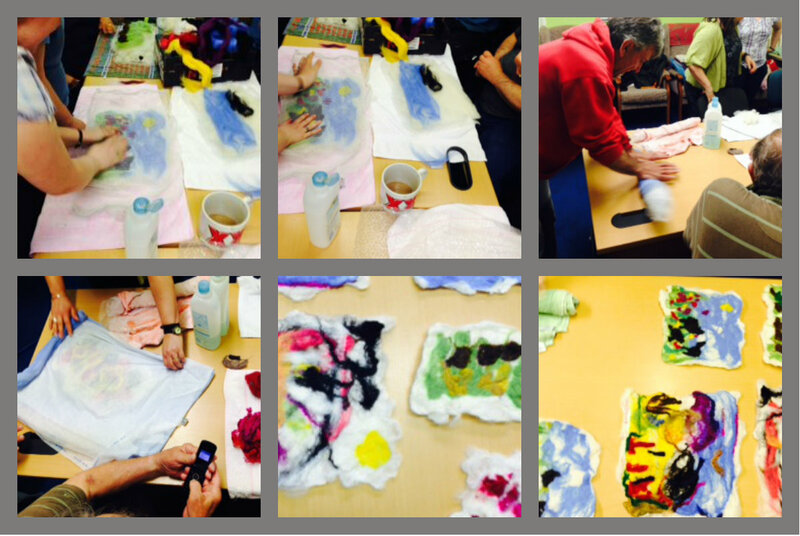 Today we felted – a huge success and great fun! The finished felt panels will be on display at the Garden Party.